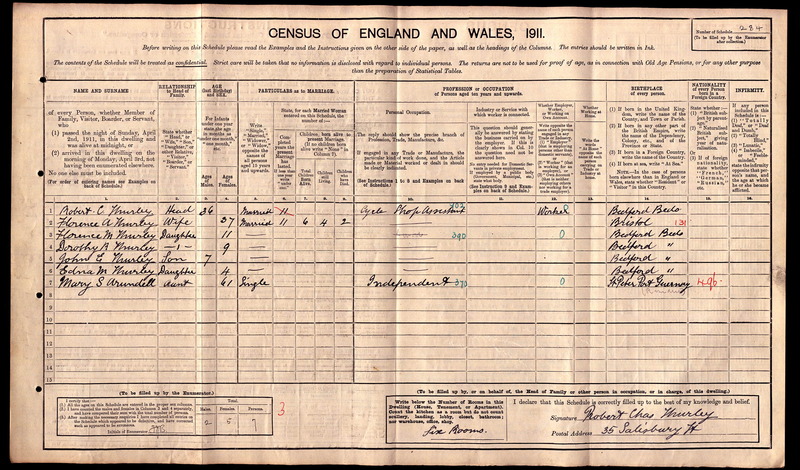 English Census 1911 He appeared as the Head of the Household in the 1911 English Census in Bedford, Bedfordshire, EnglandBG. Residence He lived at 123 Goldington Road in Bedford, Bedfordshire, EnglandBG, in 1935 just prior to his death. Probate (granted to) His probate was granted to his son, Robert George Thurley and Dorothy Ruth Allbon, on 18 September 1935 in London, EnglandBG.